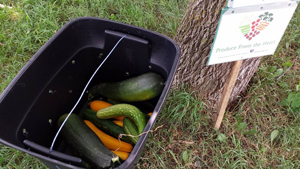 There are a variety of locations throughout Lincoln, Nebraska where fresh produce can be brought and donated to help those in need. If you have a smaller amount of produce to donate, drop it off at one of these locations. If you have a larger donation that you can't transport on your own or need volunteers to help harvest the produce, contact us. Each week Produce From the Heart collects excess fresh produce from the Old Cheney Road Farmers' Market in Lincoln, NE from vendors. If you have a stand at the farmers' market and would like to donate extra produce that would otherwise become waste, find us. We will be located in the aprking lot starting around 1:00pm each Sunday and volunteers will be walking around. We are only at the market while it is open. 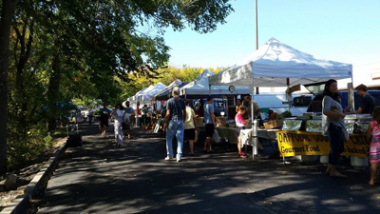 The Old Cheney Road Farmers' Market will be open on Sundays, 10am - 2pm, from April 26, 2015 through October 25, 2015. Would you like us to set up a pick-up location at your church, school, business, etc.? Contact Us.